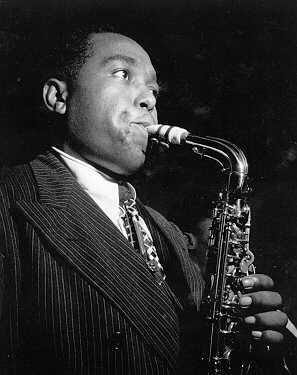 Charlie Parker - my all time favorite jazz artist - would have been 89 years old today. 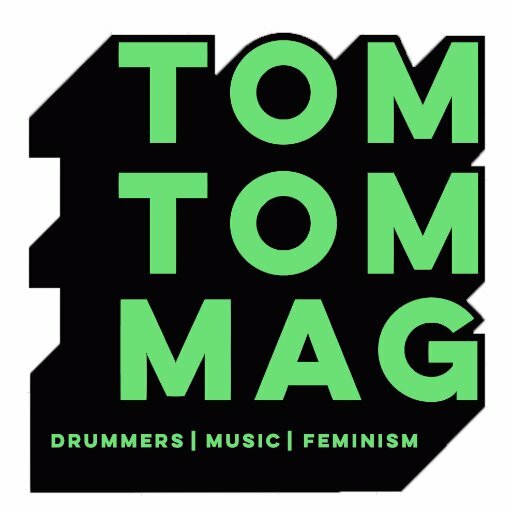 Here's an excellent article from jazz.com that features alto saxophonist Steve Coleman talking about the genius of Charlie Parker's music. Props to Peter Hum at the Ottawa Citizen for finding this one. 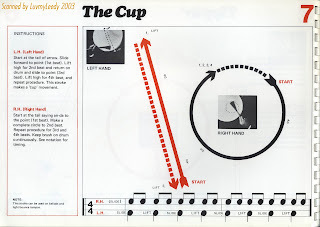 Here's one of the few video clips of Parker playing with Dizzy Gillespie. 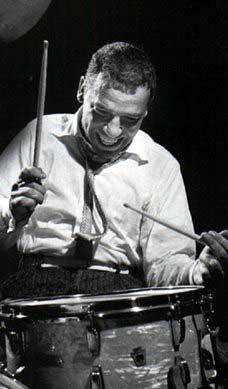 Dig the left-handed drummer Charlie Smith swingin' away on one of my favorite bebop tunes "Hot House". This morning someone forwarded me this clip of the great Louis Hayes as featured with the Cannonball Adderly Quintet on the tune "Bohemia After Dark". Hayes has always been a favorite of mine. 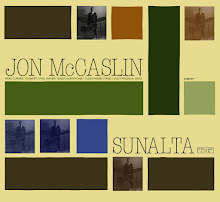 I recall a trio date he did with McCoy Tyner that was given to me by my jazz combo teacher Brenda McAlpine many, many years ago when I was growing up in Regina. I can't remember the name of that particular album (!) but I'll have to try and dig that one up. Louis Hayes is still around, performing and playing great. I hope to catch him sometime in the future. 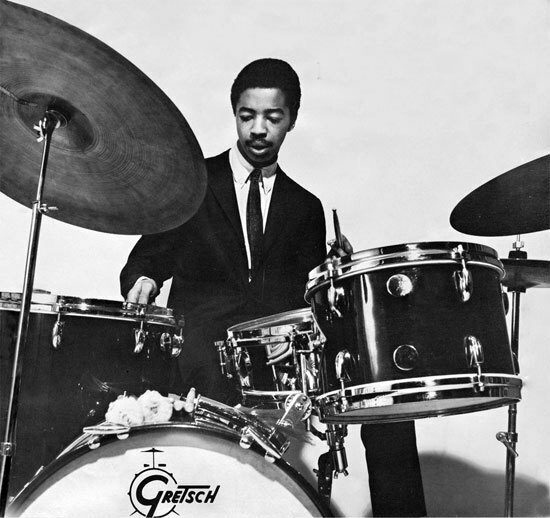 Many drummers don't realize that his driving and propulsive swing had a huge influence on Tony Williams. This clip is a nice feature for Hayes with a classic group. My heroes Max Roach, Milt Jackson and Toots Thielemans sitting in with Benny Golson, Art Farmer and the Jazztet !!! Uploaded by Delta_Mike. - See the latest featured music videos. 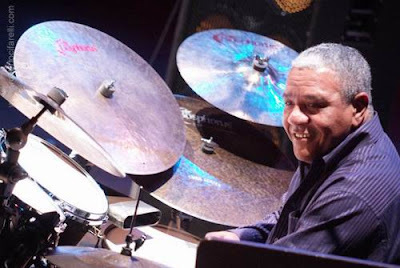 Ignacio Berroa is a fantastic Cuban jazz drummer who has toured the world with such jazz artists as Dizzy Gillespie, Charlie Haden, Tito Puente, Gonzalo Rubancaba and his own jazz/fusion group as a leader. 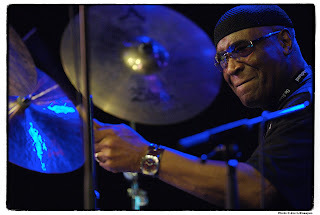 Not only do I really dig his approach to playing Afro-Cuban rhythms on the drum set, he also swings like mad ! 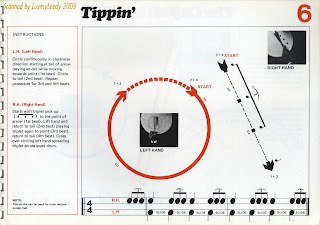 It's impressive and inspiring to see a drummer from another culture play jazz so convincingly. Jazz music really is a music of the world. Montreal bassist Brian Hurley once told me that he was hosting the after hours jam session at the Ottawa Jazz Festival when Ignacio came to sit in. Hurley suggested to Berroa that they play a set of latin tunes. "No man - let's swing !" exclaimed Ignacio and according to Hurley, they certainly did ! 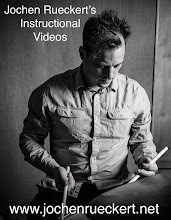 In these clips Ignacio goes through some basic Afro-Cuban rhythms and demonstrates how to apply them to the drum set. Joining Berroa are the legendary Giovanni Hidalgo, Changuito and Michael Spiro with David Sanchez and Danilo Perez. Here are a couple of patterns I've been messing around with lately on the drums. They sound sort of Tony Williams/Jack DeJohnette/Cindy Blackman'ish when you play them fast enough. I suppose it's sort of an extended variation of a Swiss Army Triplet that starts on the Left hand. 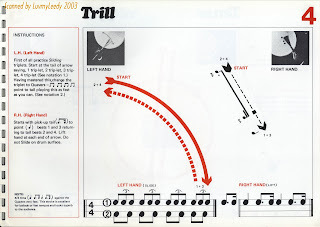 They are tricky patterns because you introduce a double stroke on the right hand that is split between the cymbal and the snare drum. 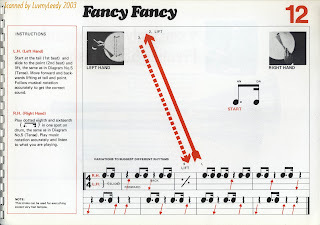 Some nifty variations would include adding the hi-hat on four quarter notes or eighth notes to give that Tony Williams vibe. 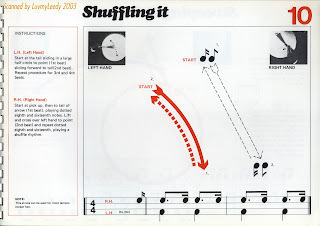 You can also add a bass drum note to the beginning of each pattern so you get a sort of Brazilian/Samba-like vibe going. Steve Lacy was a great soprano saxophonist who covered a wide range of creative territory as a jazz artist. He was also apparently a huge influence on the soprano playing of John Coltrane. 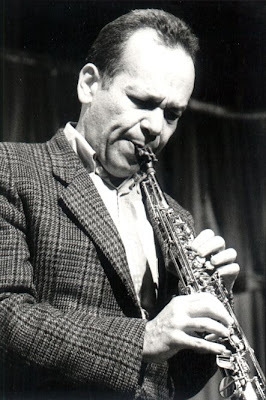 Lacy started his career playing soprano sax during the Dixieland Revival of the late 40s and early 50s, only to skip playing bebop, and collaborate with such avantgarde musicians such as Cecil Taylor and Denis Charles. He also had a very close relationship with Thelonious Monk and would continue to perform Monk's music until his death. I was fortunate to hear Lacy play and speak at a clinic at McGill University in 2004, not long before his death. At this clinic, which I remember was not very well attended(! ), he played some brief solo soprano saxophone solos and talked, at length, about his life and career as a creative musician and artist. It was, as I remember it, one of the most profound musical experiences of my life. Hearing the music and wisdom of a master, in person, was pretty inspriring stuff. 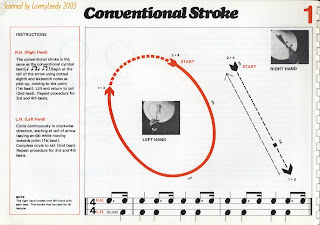 If you are interested, one should check out Derek Bailey's book entitled "Improvisation" and the book "Steve Lacy: Conversations" by Jason Weiss. I've always particularly enjoyed Lacy's way of articulating the creative process and his take on what it means to be a jazz musician. 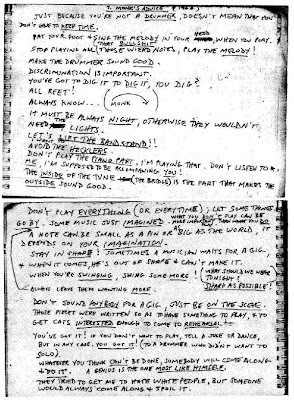 Here are some notes from Steve Lacy about the lessons he learned while playing with Thelonious Monk. Sound advice ! Now - LET'S LIFT THE BANDSTAND !!! When It's Haynes....It Roars ! 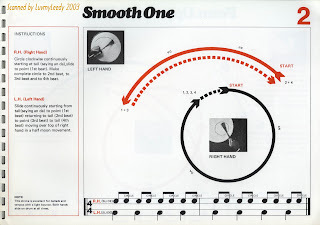 From the classic Stan Getz quartet featuring Roy Haynes, Gary Burton and Steve Swallow. With the recent passing of the legendary free jazz drummer Rashied Ali this week, I was browsing youtube for clips of this master drummer. 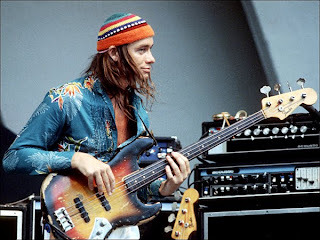 And I came across these audio clips of Rashied Ali playing duets (for the most part) with bassist Jaco Pastorious. Wow, didn't see this coming...I thought this was, not only unexpected, but very inspiring. Not exactly the most obvious or expected pairing of musicians - but it works. Enjoy ! Very nice and understated solo upfront with sticks before switching to brushes. 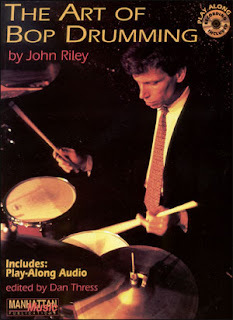 Yesterday evening I was very fortunate to spend a few hours with the world-renowned jazz drumming educator John Riley. John is in Calgary for the next couple of weeks teaching at a couple of workshops being held at Mount Royal College. But not only is John a great teacher, he can really play too. Whenever I was in New York City on a Monday night during my brief stay in 2004, I would catch John with the Village Vanguard Jazz Orchestra. Those performances were always lessons in themselves. 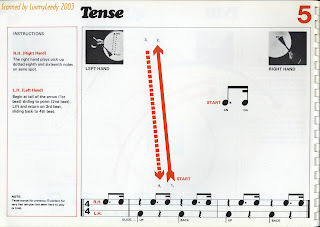 And of course, he really captures the essence of Mel Lewis' style and sound while playing with that band. 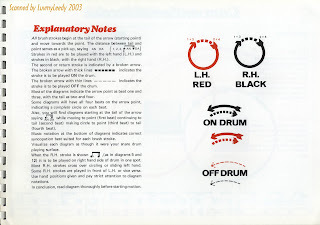 Our lesson focused on specific drum related questions - things that have been on my mind for the past few months. 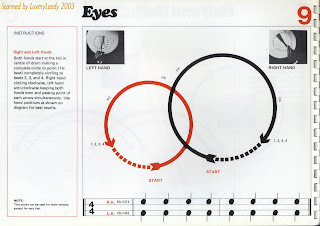 I'm big on fundamentals (both as a teacher and as a student) so I zeroed in on questions relating to basic snare drum technique, brush work, cymbal technique (he threw me for a loop there!) 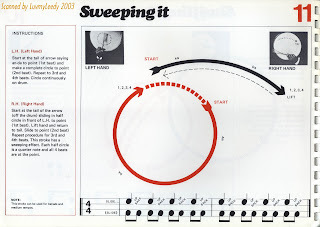 and comping/phrasing exercises. He was very complementary but also was able to effective identify my problems and weaknesses, isolate them and then address them with specific exercises designed to improve on them. 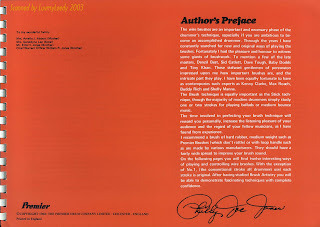 John was also a serious student of Joe Morello's back in the day and it was an honor for me to have him pass on some of Joe's wisdom and ideas on to me. Alot of great information and he gave me ALOT to work on. John is an exceptional teacher and I certainly hope to spend more time with him in the future. 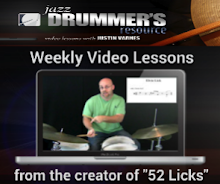 He is certainly a great example to all of us aspiring jazz drummers and educators. If you have the opportunity to study with John Riley or catch him in a masterclass or clinic or performing with the VVJO, do it ! 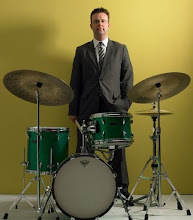 Here's a recent clip of me playing with the Johnny Summers/Mark Wilson "Tribute to the Wynton Marsalis Septet" Project. It was a really fun weekend, playing challenging music with great musicians. 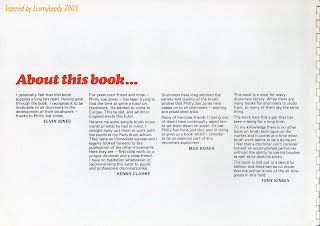 I can't imagine how long it took for Mark to transcribe this book ! The tune is entitled "The Cat in the Hat is Back" by Todd Williams and was recorded at the Beatniq Jazz & Social Club on August 1st 2009. Winard is a GREAT drummer who unfortunately doesn't get as much attention as he should these days. 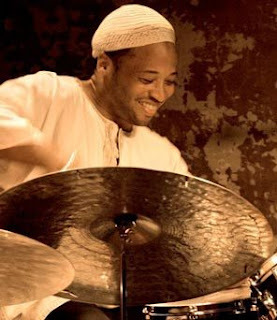 I first met Winard in 2003 when I was fortunate to study with him during the Betty Carter Jazz Ahead residency program held at the Kennedy Center for the Performing Arts in Washington D.C. Harper is a really swingin' drummer and can propel a band like nobodies business. As a teacher he stressed the importance of laying down a solid grove above all else and really supporting and locking in with the ensemble. 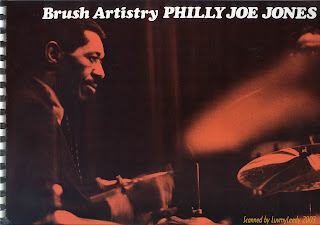 He and his brother, who plays trumpet, had a great group called the "The Harper Brothers" during the "Young Lions" jazz craze of the early 90s - sort of a modern update of Art Blakey & The Jazz Messengers. 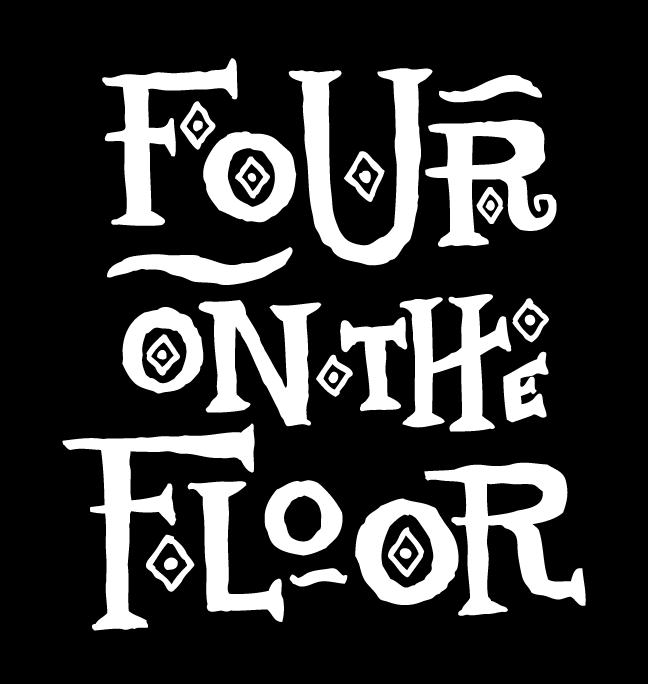 I vividly remember hanging out with Dave Mossing during my first year at McGill and Dave playing me his CDs of this group. 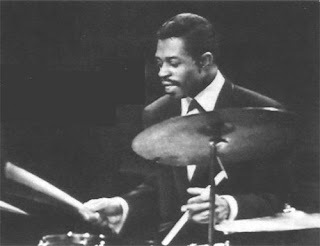 In fact, Winard was one of the first recorded jazz drummers that I checked out who (at the time) was under the age of 30 ! 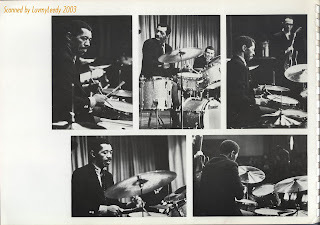 I particularly enjoyed this clip of Winard playing a mean mallet solo with Pharoah Sanders. To My Drum Teachers: Thank you !!! 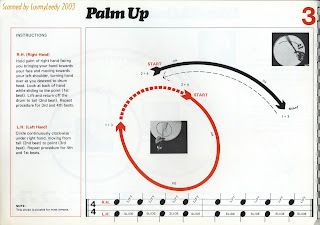 I had a couple of experiences lately that got me thinking about all the great drum teachers I've had over the years. I had lunch the other day with Andrew Dyrda, a GREAT young up-and-coming jazz drummer who is studying at McGill (my alma mater) and we talked about our mutual acquaintances and drum teachers at McGill. 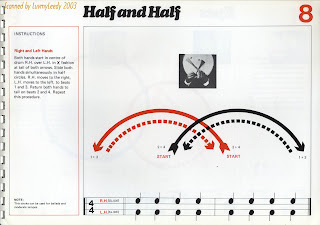 I've also enjoyed many of Peter Hum's latest posts over at his blog at jazzblog.ca that focus on some of the teachers that many Ottawa-related jazz musicians have studied with lately and related their experiences. This all got me thinking about how fortunate I am to have had so many great lessons, private teachers and drum instructors over the years and how indebted I am to them for the information and knowledge they passed on to me. I am where I am today because of the generosity and talent of these individuals !!! Richard Toth - This guy taught me how to hold my sticks ! 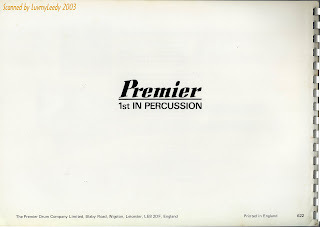 Helen Barclay - She convinced me that I could play mallet instruments! Chris McCann - "Put the SWING on top !" Terry Clarke - "You're only as good as your last gig !" Kwasi Dunyo - "You must sacrifice the present for the sake of the FUTURE." I was also very fortunate to receive a Canada Council for Arts study grant in 2004 to travel to New York City and study with MATT WILSON for six months. Studying with Matt was a lifetime experience and I think I'll just save this for later and elaborate more with another more detailed post !